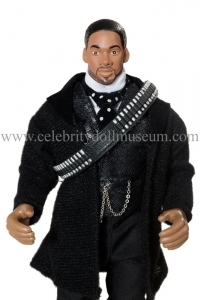 Will Smith 1999, Movie Stars, Musical Performers, Television Stars, X-toys Inc. 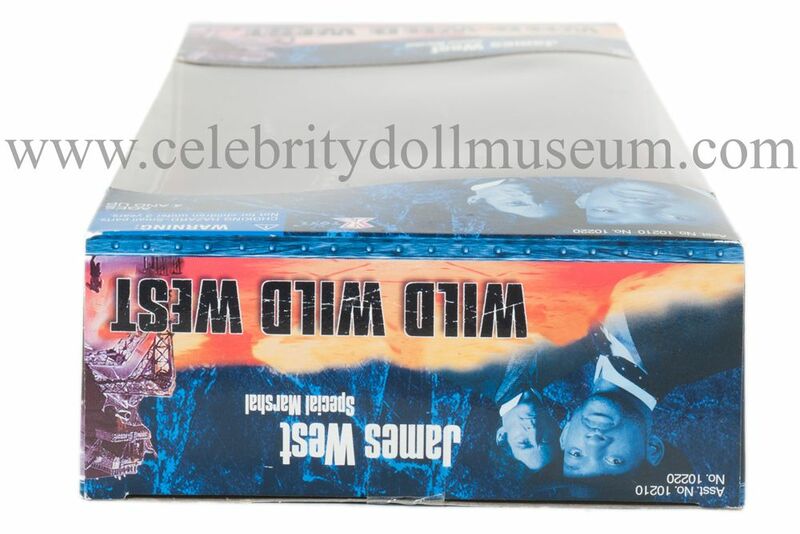 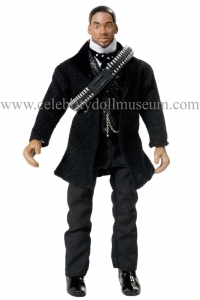 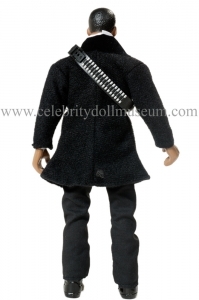 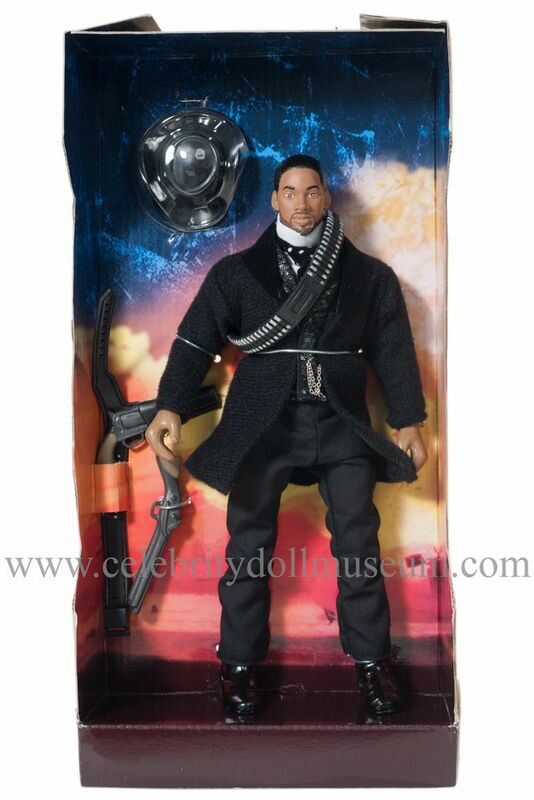 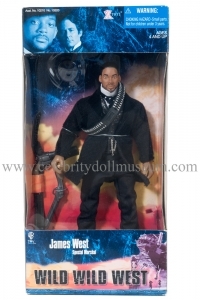 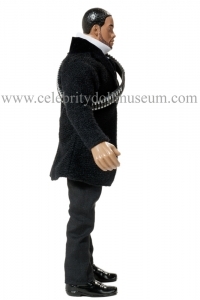 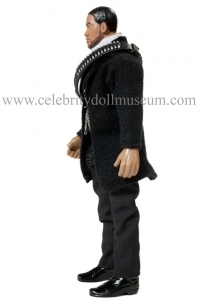 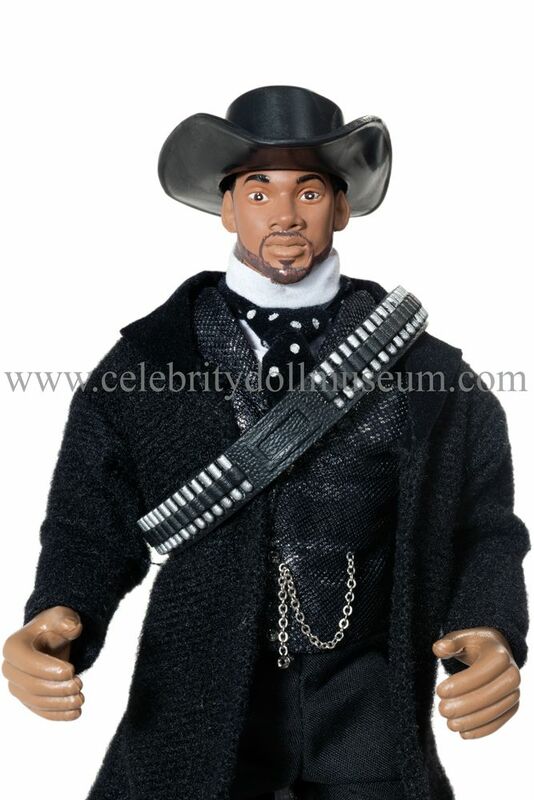 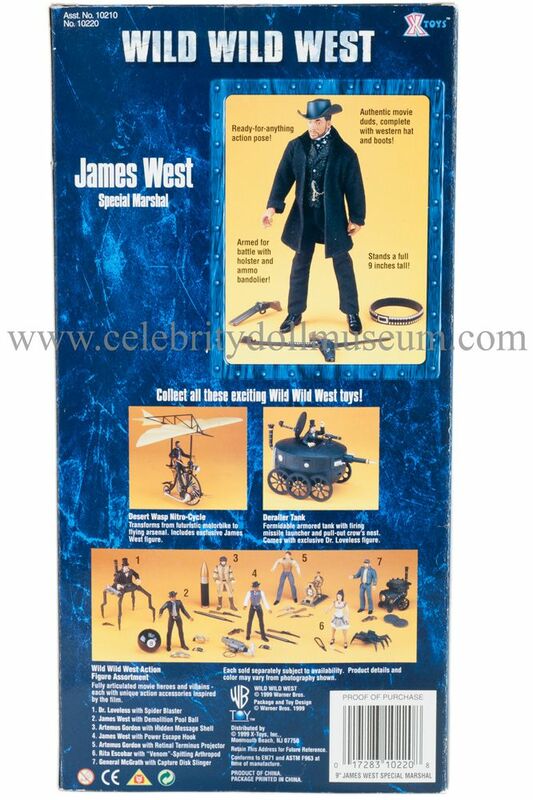 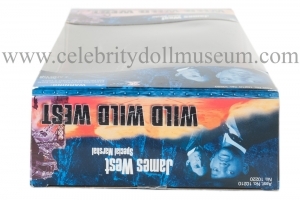 The Will Smith celebrity doll depicts him as James West, Special Marshall from the Warner’s Bros movie Wild Wild West. The Smith doll was made in 1999 by X-Toys, Inc. 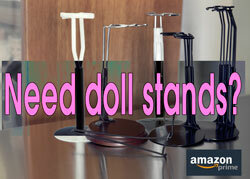 The doll is 1/7 scale at 9 inches and is a pose-able action figure. 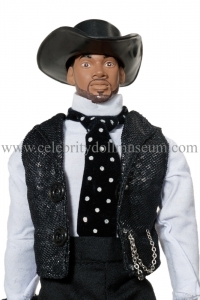 The outfit is a replica from the movie and consists of a black suit and removable black plastic cowboy hat. 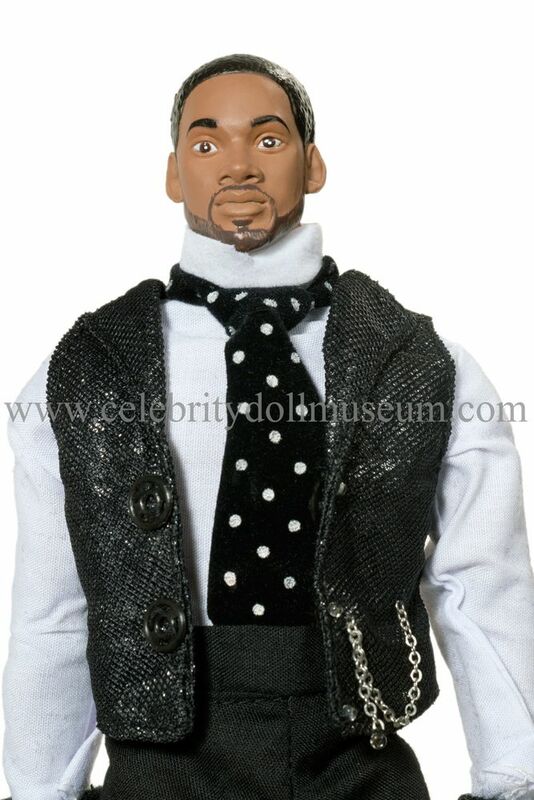 The suit jacket is made a stretch material that didn’t have to be seamed on the edges. Under the suit is a white shirt, shiny black vest with black buttons and a pocket chain, and a black with white polka dot tie . The black cowboy boots are permanently attached to the doll’s legs. Accessories include two guns, the hat, an ammo bandolier, and a holster.